Here are some scent family photos I took of all the Lush products made with this scent. 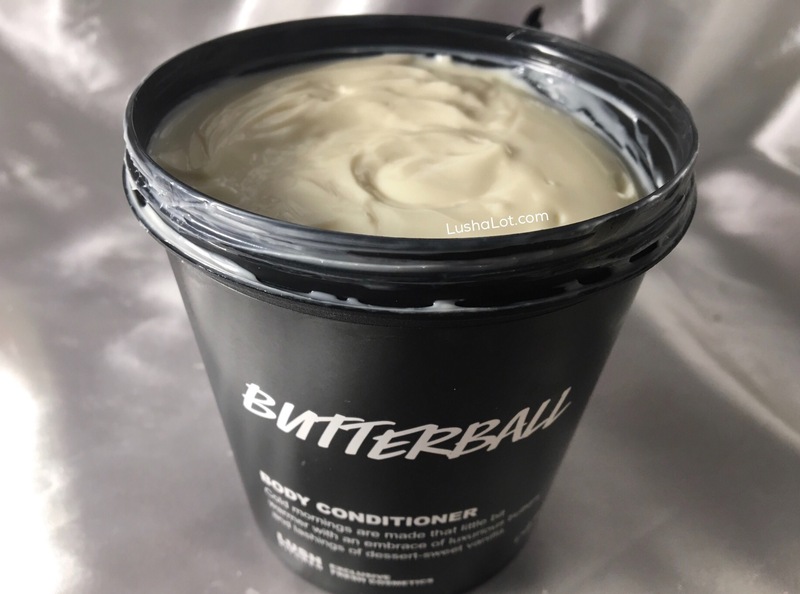 Posted on February 5, 2017 by Lushalot	• This entry was posted in Body Conditioners, Lush Kitchen menus and product demos and tagged butterball body conditioner. Bookmark the permalink.